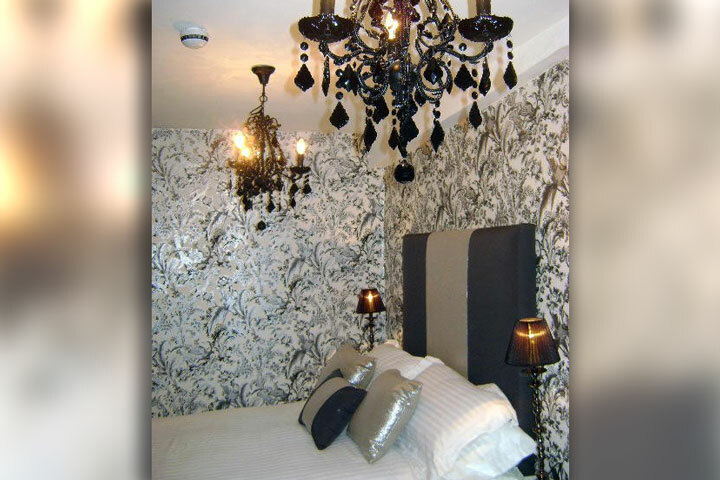 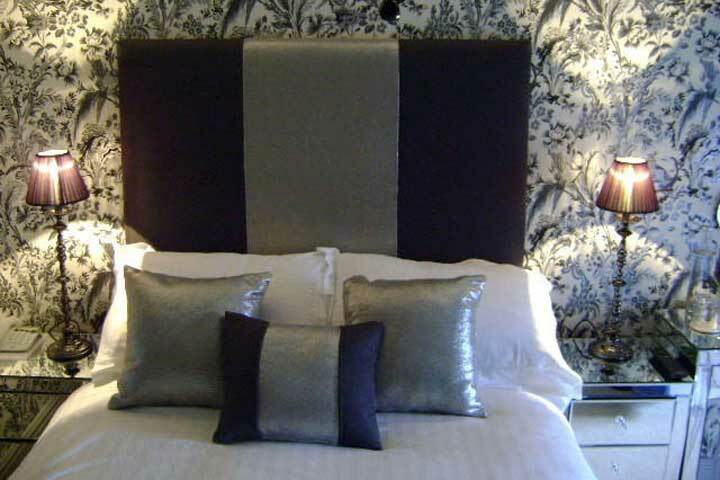 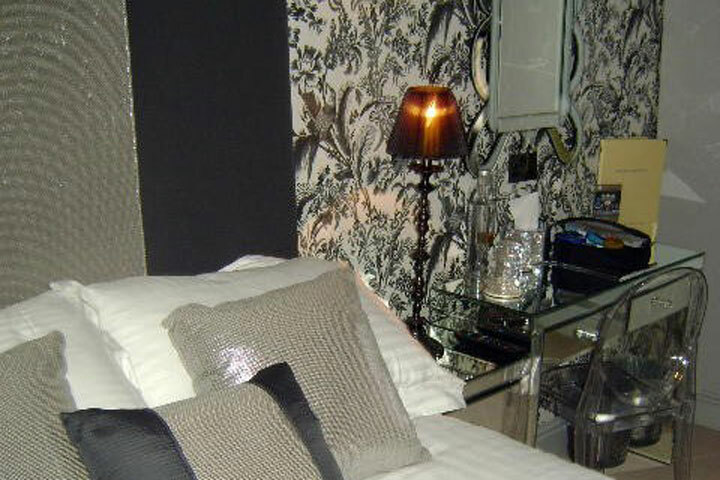 Opulent black chandeliers, ornate black and silver wallpaper and luxurious soft furnishings including a dramatic oversized headboard, give this room a chic and contemporary ambience. 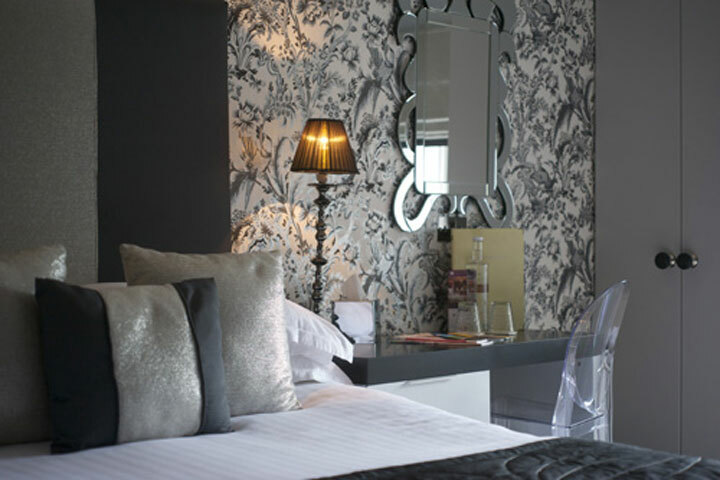 The room is a petite double, with ample space to enjoy time reading and relaxing. 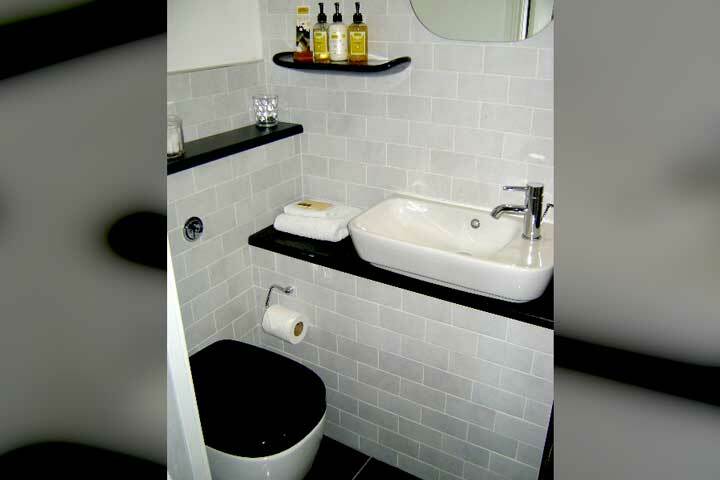 A stylish shower room is fitted with the latest state of the art fittings to maximize on space, including a chrome rain shower, with a black granite flooring and sink surround.